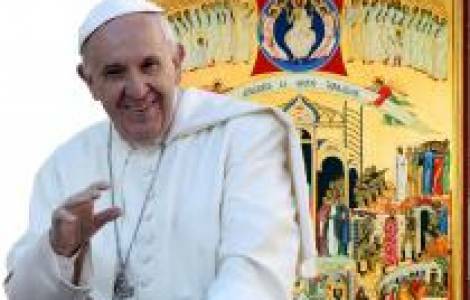 Roma (Agenzia Fides) – “The memory of these heroic, early and recent witnesses confirms us in the awareness that the Church is a Church of martyrs… and martyrs are those who had the grace to confess Jesus until the end, until death. They suffered, they gave their lives, and we receive the blessing of God for their witness”. This was said by the Holy Father Francis during a Liturgy of the Word in memory of the New Martyrs of the 20th and 21st centuries, which he presided in the afternoon of Saturday 22 April in the Basilica of St Bartholomew on the Tiber Island in Rome, looked after by the S. Egidio Community, and which has become a memorial to all New Martyrs, and has the custody of several relics. Asking himself what is the most urgent need for the Church today, the Holy Father continued: “Martyrs, witnesses, that is, everyday saints of ordinary life, lives lived coherently; but we also need those who have the courage to accept the grace to be witnesses until the end, until death. All these are the living blood of the Church. They are the witnesses who carry forward the Church; those who witness to the fact that Jesus is risen, that Jesus is alive, who witness to Him with coherent lives and with the strength of the Holy Spirit they have received as a gift.”.